The paper’s authors consist of a broad team of digital currency researchers and developers – including Adam Back, Pieter Wuille, Matt Corallo, Luke Dashjr, Mark Friedenbach, Andrew Poelstra, Jorge Timón, Andrew Miller and Gregory Maxwell. Several members of the authorship team are co-founders of digital currency startup Blockstream, which provided support for the project and is in the process of raising millions as part of a major funding round. 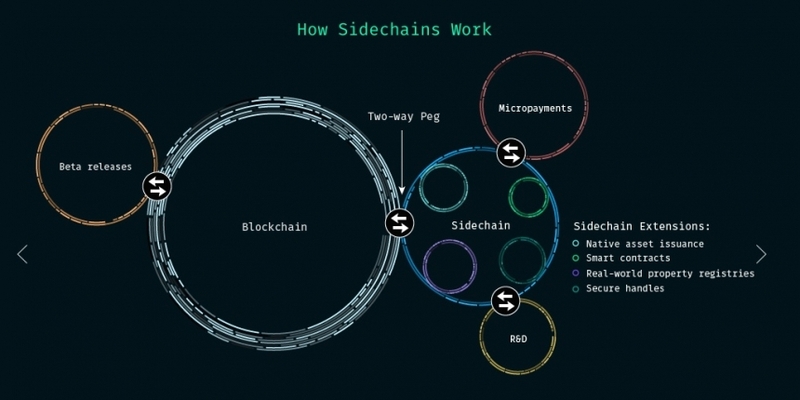 The infrastructure envisioned by the sidechains development team is a multi-block chain network in which digital assets can be created and exchanged while still remaining tied to the value of a bitcoin. The concept also calls for a firewall to be instituted for the parent chain. This, the authors say, would protect the basis of value for the chain ecosystem and those taking part in the system. These assets can be used like those found on existing platforms such as Counterparty, Mastercoin and others – to represent contracts, claims or IOUs – and exist alongside whichever native currency is linked back to the parent chain. Putting sidechains in place wouldn’t be a risk-free process, however. According to the paper, the implementation of sidechains may require the need for merge mining, a process by which miners provide ‘proof of work’ to multiple coin networks, thus certifying transactions. Otherwise, miners would have to choose which chain to support, thus creating potential security headaches. The paper also identifies risks of fraudulent transactions across sidechains and the potential impact on both associated sidechains and the parent chain itself. Though stating the unlikelihood of these given the ability to create built-in security mechanisms, the authors outline the ways in which a potential ‘chain run’ could be launched or coin supply imbalances created during cross-chain transfers. Since its release yesterday, the white paper has jumpstarted the public conversation surrounding the sidechains concept. A Reddit AMA hosted by the sidechains team included questions about the nature of the project, the intended goals and those supporting it, and a number of well-known developers in the space have weighed in on social media. In the Reddit AMA, Wuille remarked that ultimately, the goal is to create a means for developers to experiment with block chain technology while avoiding the pitfalls associated with the altcoin market.